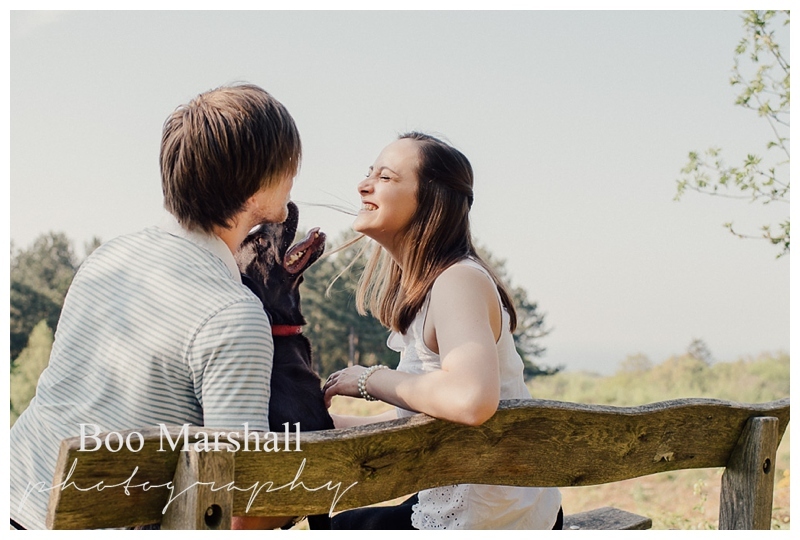 Caroline & Sam wanted their Sheringham engagement shoot to be in the spot closest to their hearts; the glorious woodland setting of Pretty Wood that extends for miles from their back garden. 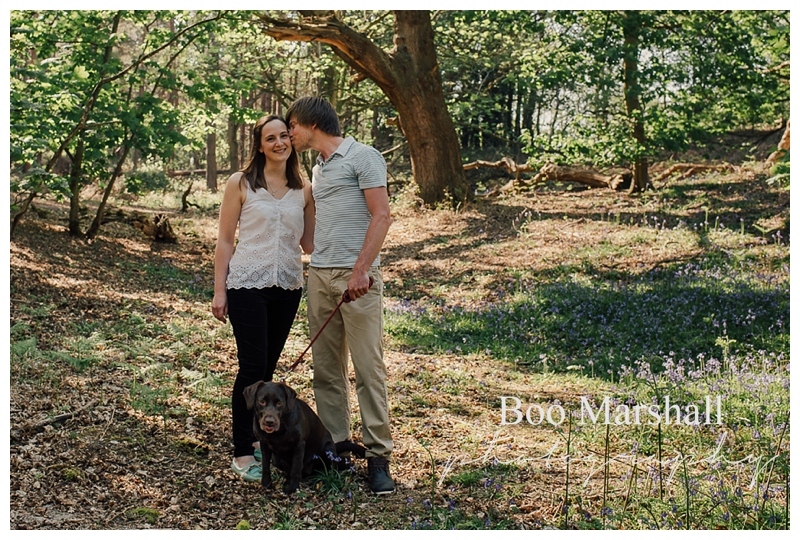 Their was timed to catch the bluebells, and I tried to time the shots with the non stop activity of their adorable dog, Poppy but most of the time she was off chasing shadows and flashes of sunlight through the trees! We set off from their lovely home by stepping over the fence at the back of their garden. 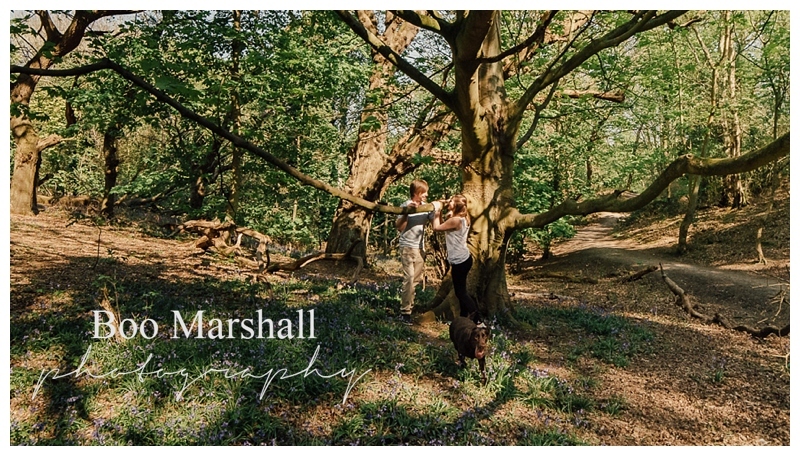 Our engagement shoot hike had already been trialled by Sam in the morning, so he knew exactly where to lead us for the best of the bluebells. 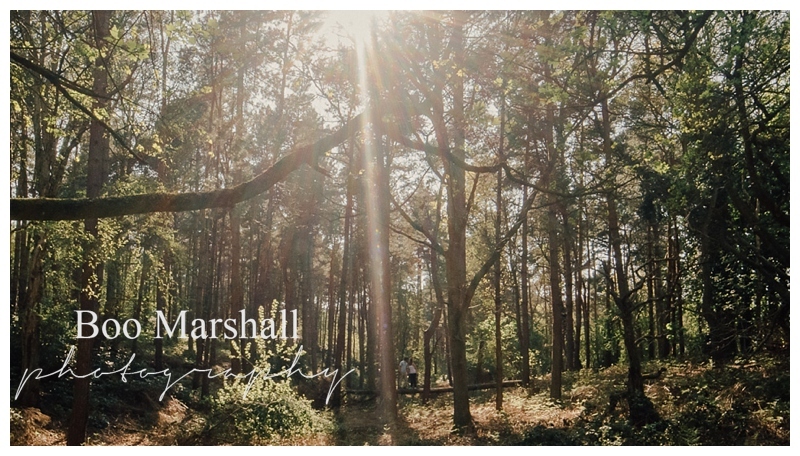 It was like entering another world- the strong sun filtered through the trees, with dancing shadows and flickers of light all around us. 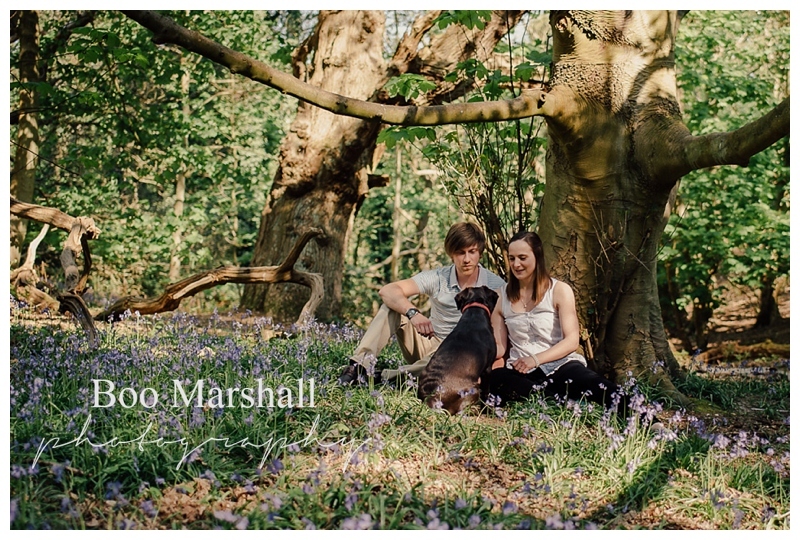 And in the heart of the wood grew glorious bluebells! 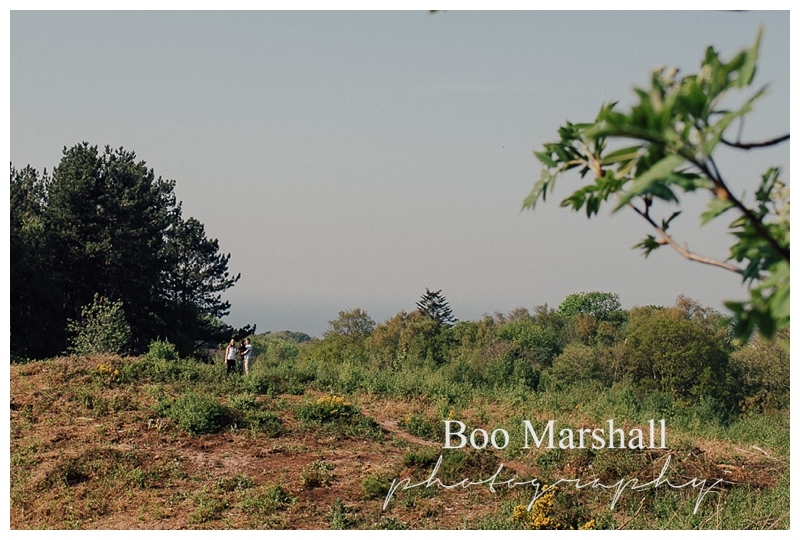 Their very English seaside wedding is next month and I’m really looking forward to it. The couple run their own businesses in the area, an area they grew up in, so the wedding will be full of long time friends as well as family. As they’re both very creative, I know the details and love that will go into their day will be perfect and special, and mean so much to them. 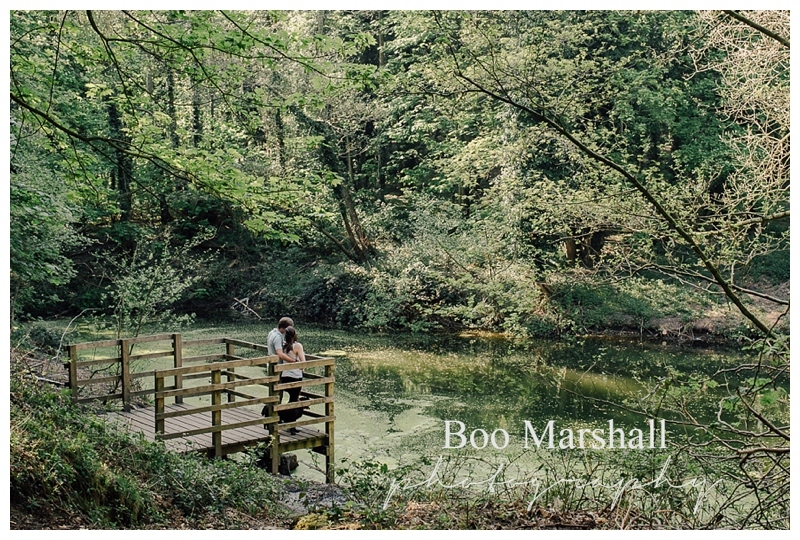 If you’re considering a woodland engagement shoot of your own, do book your wedding with me before the end of June 2016, to ensure you receive one as a complimentary extra on your wedding package. 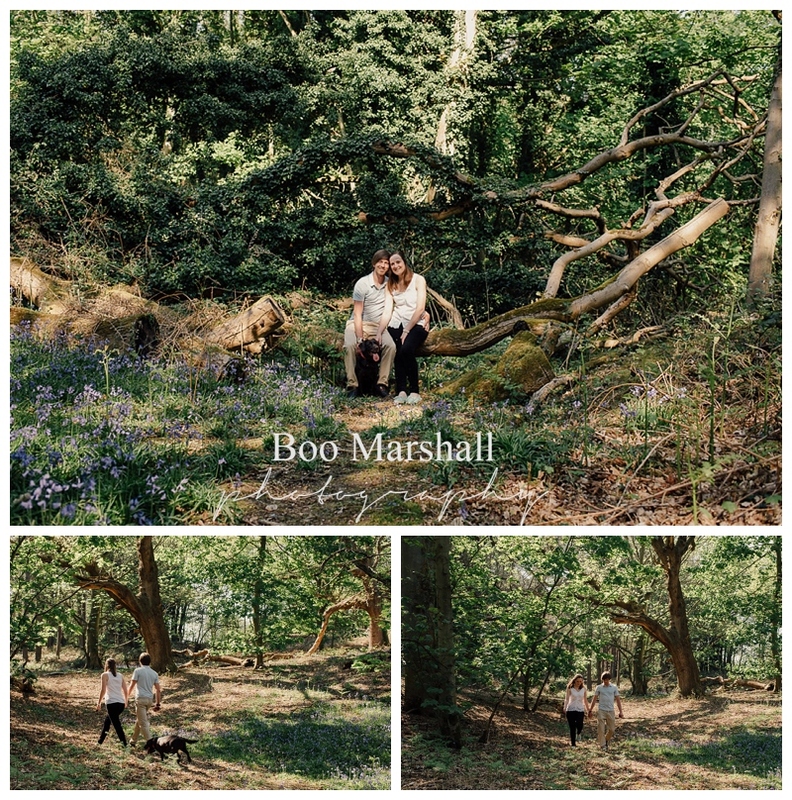 And of course you don’t need to have a woodland one; the important thing is to have the engagement shoot that is meaningful to you as couple, whether countryside, coastal, woodland or urban. 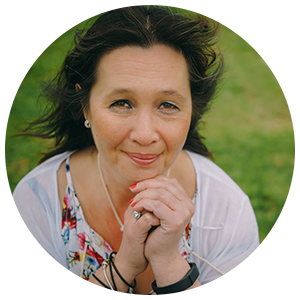 Check out Caroline’s Doodle Pot ceramic cafe to plan your own creative hen party!